Our professionals know how to clean cobwebs, dirt, mold and mildew from your home or business without damaging your structure or surrounding plants and fixtures. We use a proven balance of diluted bleach with our cleaning solutions while dialing the pressure back to allow the chemicals to work rather than the pressure. Plants are rinsed before and after the cleaning so they are not harmed in the process. Our experienced professionals know the right techniques to loosen dirt and mold without damaging soft wooden surfaces. Proper chemicals do the heavy work while our crews use light pressure to renew the wood and rid your deck of that tired weathered look. Adding a fresh coat of stain can further enhance your deck’s appearance and add years of life to your entertainment & family area. 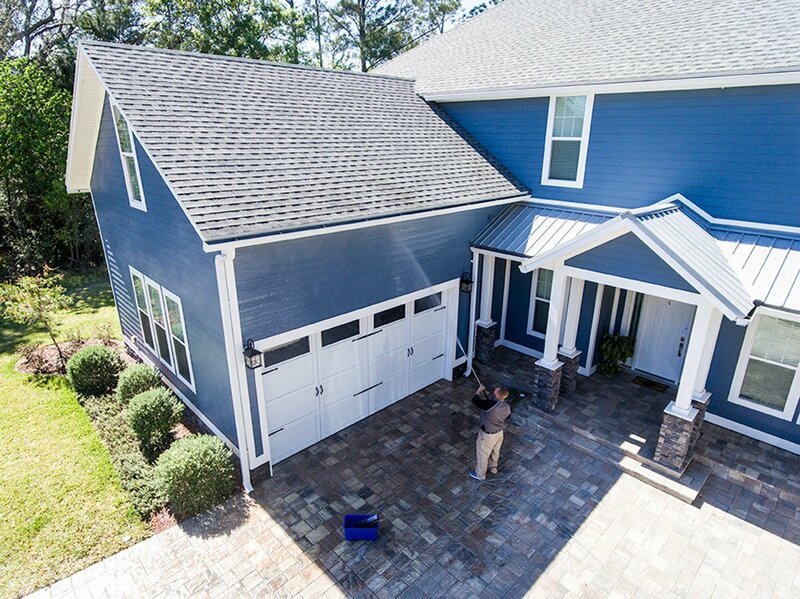 Our professional painters work with you to select the perfect shade and brush & roll your product for a finish you’ll be proud of. 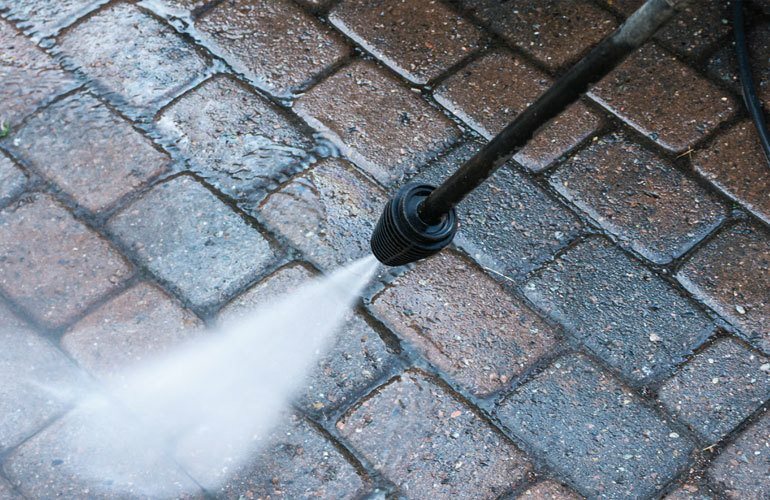 Driveways, patios, sidewalks and other hard surfaces require higher pressure and different equipment to clean their porous surfaces and get rid of dirt and years of blackening mildew. 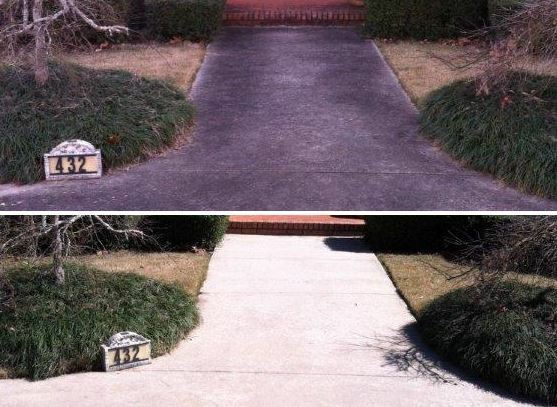 Our crews are trained with the right equipment and know the best solutions to get the brightest finish to your flat surfaces. Rust staining and other special challenges usually require additional treatment and upcharge. Stone surfaces may be pressure washed with proper care if the mortar or grout is intact and in good shape. 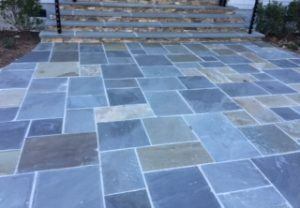 Missing, brittle or broken mortar may prevent stone patios or walls from being washed with high pressure. Methods can be adjusted to compensate for slight mortar decline, but some jobs may not be possible until proper repair is done.